Our backyard grill recently kicked the bucket. Instead of buying a new large grill, we decided to buy a smaller, portable one. We went with the Coleman Legacy Roadtrip Grill from Cabela’s and we have loved it! We enjoy packing it up and taking it with us to the mountains for a canyon barbeque. 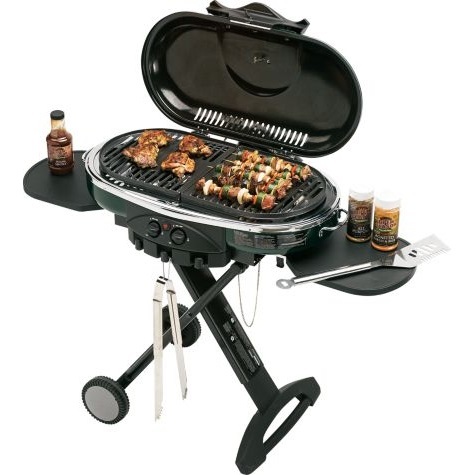 We also feel like it’s a great grill to have for emergency preparedness reasons. Because of this new grill, I have had fun experimenting with dinner. Last night I decided to try grilled corn on the cob. I have never grilled corn on the cob before so I did a quick Google search on how to grill corn. Before I started my search, I had already husked my corn and removed the husks completely. I started reading about how many people like to leave the husk attached and grill the corn inside the husk. “Oh well”, I thought, I will have to try it a different way… So, I again googled how to grill it without the husk, found a recipe, and luckily, it still turned out fine. If you have never grilled corn on the cob before and want to try it, here are a couple of ways to do it. Grilled Corn in the Husk: Peel back the corn husk, but do not remove it completely. Do remove all of the corn silk. Coat each cob of corn with butter and sprinkle with salt and pepper. Place the corn back inside the husk and then wrap each cob with aluminum foil. Place the corn on the grill over medium-high heat and cook for about 30 minutes, turning occasionally. Grilled Corn with No Husk: Peel and remove corn husk and corn silk. Spray each cob of corn with vegetable spray or coat with butter. Sprinkle with salt and pepper. Place the corn on grill over medium-high heat. (You may want to put down a piece of greased aluminum foil on the grill for easier clean-up and less sticking). Turn corn with black grill spots begin to appear. Cook for about 10-12 minutes until cooked uniformly. A couple of the cobs I cooked were left on the grill too long. When that happens, the corn becomes a little tough and leathery. 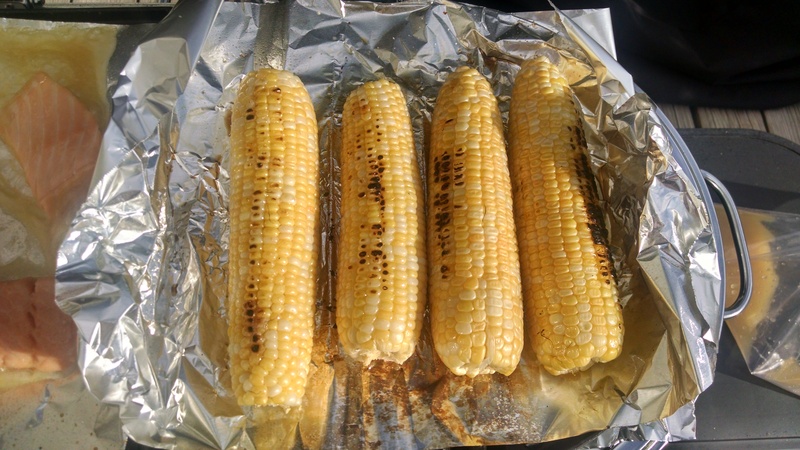 It may take a few tries to get it right, but grilling corn on the cob is a fun way to enjoy that summer corn.